Capillus®, LLC, a medical device manufacturer focused on providing customers with the best products in treatment for hair loss, has expanded its global footprint with the opening of the Capillus store at the Mira Place Mall in Hong Kong through its exclusive partnership with Yaniv Healthcare. Capillus established a presence in the Chinese market in 2013. Following great partnership growth, Yaniv Healthcare became the exclusive Capillus Hong Kong distributor in 2017. This new store expansion with Yaniv Healthcare will target the diverse flourishing Chinese markets and aims to cater to the people of Hong Kong with the best in hair restoration technology and advances. Expressing excitement over the expansion, Carlos Piña, Capillus CEO said, “I believe our target customers are universal. Whether in Hong Kong or in the United States, anyone who cares about their appearance and the role it plays in their self-esteem or how others view them in society will benefit from Capillus products. The new store is in the posh Mira Place Mall in Kowloon. Complete with shopping malls, Grade A office space, a five-star hotel, it’s conveniently located in the popular area of Tsim Sha Tsui. With an area of about 2,000,000 square feet, and home to more than 150 upscale retail stores, 40 restaurants, and cafés, including Michelin-starred and recommended eateries, Mira Place is the ideal place to shop, dine, work and refresh. Yaniv Healthcare focuses on introducing the home use of beauty and health care electronic appliances for specific needs to the human body. The Hong Kong Capillus store offers the Cap+ clinical hair care products, and three FDA cleared Capillus laser cap models. Capillus offers a value model in the Capillus82™ which includes 82 laser diodes, a mid-range device with the Capillus202™ containing 202 laser diodes as well as a premium Capillus 272™ Pro device with 272 laser diodes. 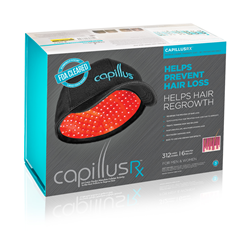 Capillus, LLC offers prescription and over-the-counter hair regrowth products and medical devices for both men and women suffering from hair loss. The Capillus premier product lines include low-level laser therapy (LLLT) devices that are FDA-cleared and manufactured in the US under the highest-quality certification standard for the medical device industry (ISO13485). For more information, visit https://www.Capillus.com.